How do capabilities work with requirements? How are builds distributed to agents? 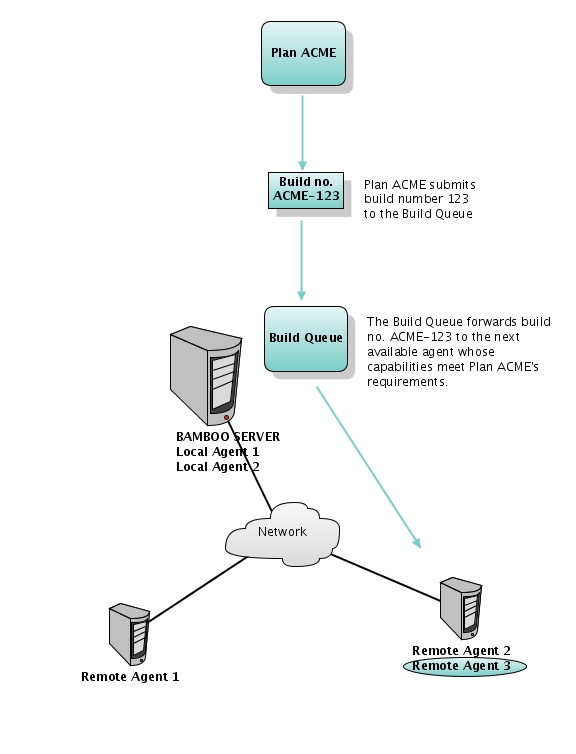 An agent will consume a single job at a time and will block any other Bamboo jobs from being processed until that job build is complete. 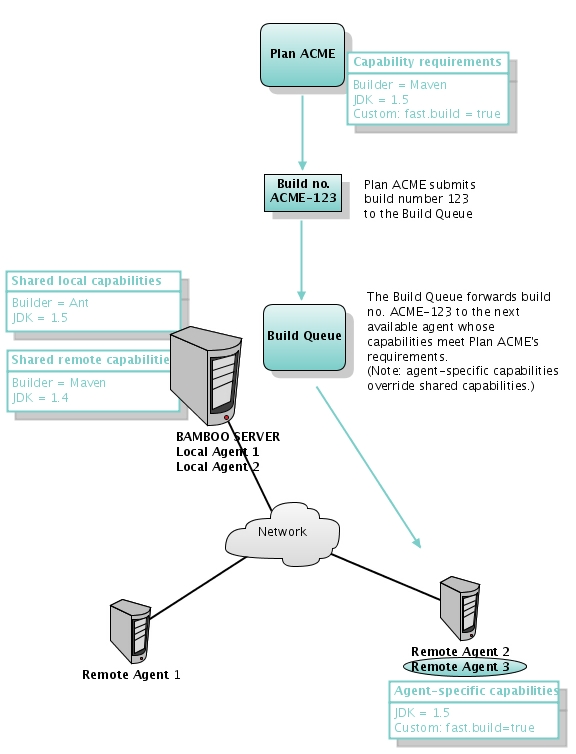 If you would like to build multiple jobs simultaneously on the Bamboo server, then simply set up multiple local agents. If the agents are remote, then you will need to install that number of agent instances on the machine. Separate installations are required because each remote agent will need its own home and log directories. How do capabilities affect the distribution of builds to agents?